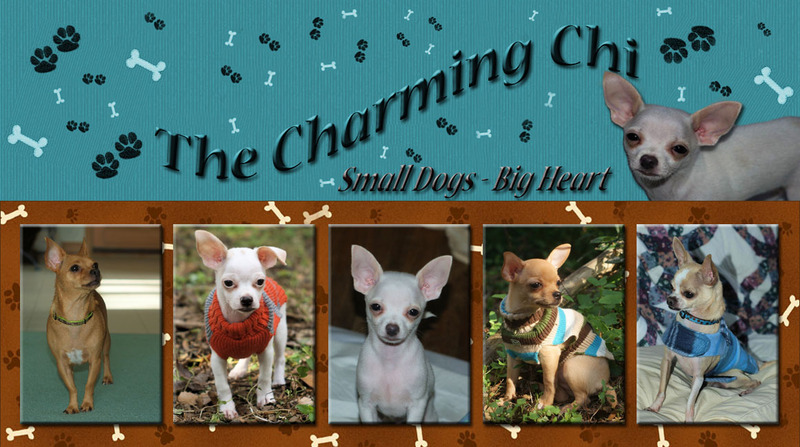 The Charming chi: Does Your Dog Have ESP?? Mine might! I was sitting in Barnes and Nobles checking out some dog books when this one caught my eye. Well if that title doesn't get you thinking I don't know what would. I was pretty intrigued. 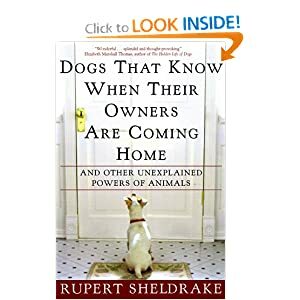 It's a great little interesting read all about animals and dogs that know when people are sick or when their owners start heading home for the day. Even dogs that knew when their owners died in wars hundreds of miles away. But that is only half the story. You see I have a little boy Chihuahua.. my Susu who always knows when we are going to be sick. He velcros himself to the soon to be deathly ill person about 24 hours before the current plague hits. A clingy Susu often means it's time to get some extra vitamin C and clear your schedule for the week because you are going down. But while I was reading about dogs that knew when their owners were coming home.. dogs that can predict seizures.. and all the other amazing things that dogs can do I had that grand 'light bulb' moment of all moments!! What if I close my eyes really really tight and focus all of my mental ESP energy on Susu sitting. Would he then suddenly be like 'Oh so THAT'S what all the fuss was about' and just sit?? It's a long-shot but if it worked, this would revolutionize my life with dogs.. 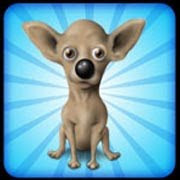 It would be like using The Force on the Chihuahuas.. How awesome would dog training be then. Anywho, I'm gonna go try to 'use my mind' to get my dogs to do stuff and I'll get back with you in a few days on this.. I'd love for you to try it too and let me know if it works. Afterall, this Jedi Mindtrick stuff is only gonna be as good as the mind doing it and well.. I'm currently going to try using my nonexistent Jedi powers to get my dogs to sit so what does that tell you?? Have a great day everyone and Go Have Some Fun!! It's SATURDAY!! I have a barnes and noble gift card left from the holidays, might have to give this book a try! It is nice to mix up all the training books I read with fun/informative stuff like this sometimes. Thanks for sharing. i have heard about this before...curious to see if it will work in reverse! Good luck! Bandit our poodle knew something was up with the oldest two legged brother before he had a seizure. Bandit always sleeps with the middle son, but one night he refused to leave the oldest teenager. The next morning he has a seizure. It was really impressive. All the next day he did not leave his side. I just wanted you to know that I passed the Pawsome Blogger award on to you today. See ya!! Chewy does know when I'm coming home! I leave work at 5:00 and don't get home till around 5:15, and Steve says that at 5:00 Chewy starts getting antsy....he'll start pacing and then will sit on the bench looking out the window until I get home! Sometimes, as I'm walking down our street, I'll see the top of his little head through the window and as I get closer to the house, he'll pop up and start barking his welcome home! I so love my Chewster!! !